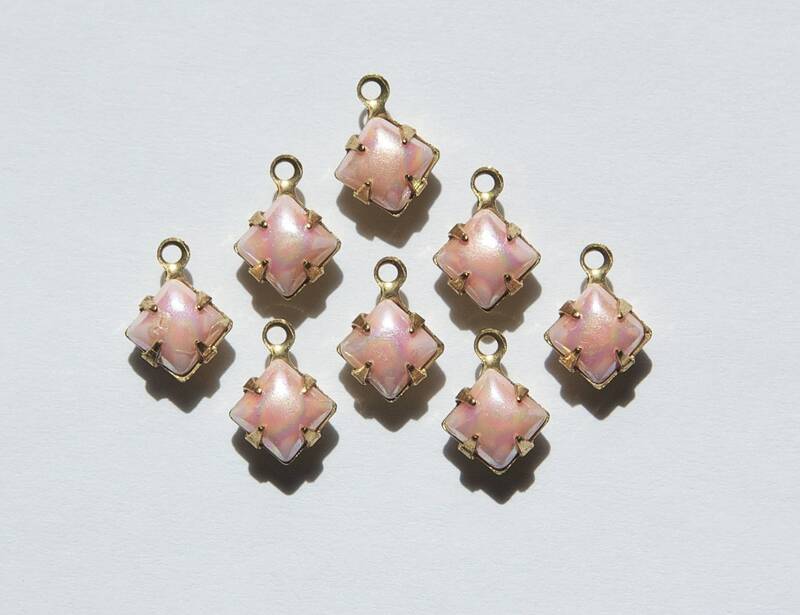 These are vintage pink glass square stones, with an ab finish, set in a one loop brass setting. These measure 6mm square. You will receive 8 pieces. We have these listed in other colors and settings. I love these. They are adorable! So Pretty!! I just Love them! !